If you have a toddler, or pets, or a husband, or ANYONE living in your house, the carpet is bound to get a stain at some point. For some reason I forgot this when we moved into the rv. (We had very little carpet in the house, we tore it out and put in laminate, I’m not a fan of carpet!) We have carpet in the 2nd room (baby’s room), a small amount in the living room, and in the main bedroom. It gets dirty. All the time. See, my son isn’t old enough yet to understand that we don’t take food all over the house and I haven’t really pursued the rule since the house is so tiny I can easily vacuum up the crumbs anywhere in about 1 minute, but with stains that get in the carpet it gets a little harder to clean. Now that we are moving into the farmhouse we will likely have more carpet than we have right now (unless when we tear up the old carpet we find beautiful hardwood floors underneath!) so I’m preparing for that time with some new homemade Carpet Cleaner Recipes. We’ve come up with a few different solutions that work great, no chemicals or nasty toxins involved! The next time you get a stain in your carpet you might want to try one of these solutions first. First, sprinkle a little baking soda directly into the stain on the carpet, brush it into the carpet slightly with the brush (any kind of brush will do from an old hair brush to an old toothbrush, you just want to make sure it gets into the carpet fibers). Put the vinegar into a spray bottle and spray (or just pour) it on the top of the baking soda. Let it do its little chemical reaction and then scrub the carpet again with the brush. 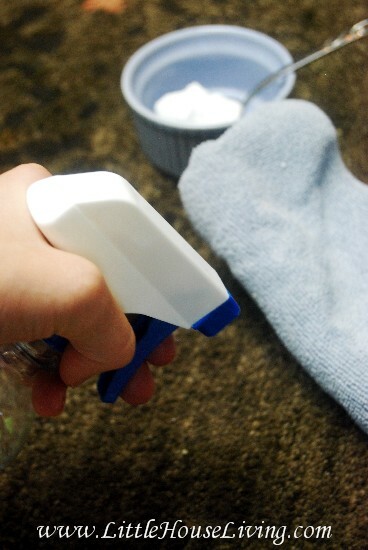 Use the water and a rag to clean up the baking soda as well as you can and then run over the spot with a vacuum. This cleaner also works well to remove smells from the carpet (such as from pet stains!). In the bottom of your carpet cleaner machine, add the vinegar, peroxide, and dish soap. Fill the container the rest of the way to the fill line with warm water and use the same as you would any commercial carpet shampoo. This recipe is great because it actually does clean your carpets instead of adding shampoo into the carpets like many of the commercial products do. Make sure to test both of these solutions on a small area of carpet first before using them on a larger spot. Are you fall cleaning right now? 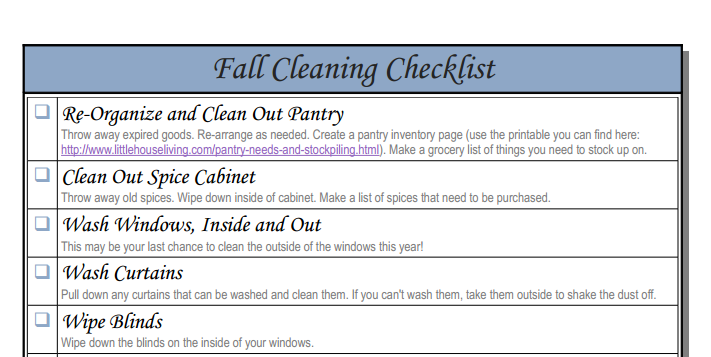 Here’s a FREE Printable Fall Cleaning Checklist to keep you on track. 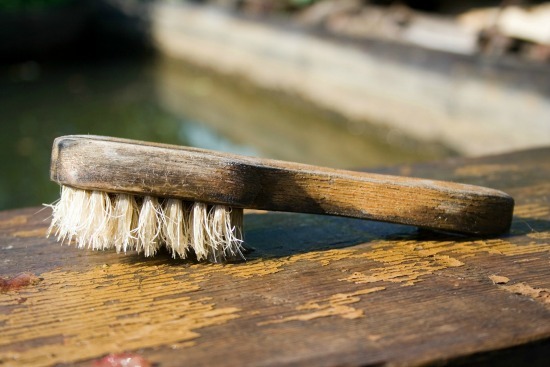 Make sure you get everything cleaned and freshened before winter while you have the chance! 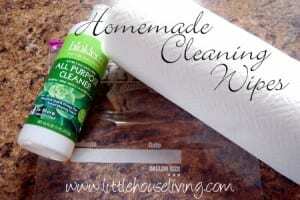 And here’s another great easy cleaning recipe to try for Homemade Cleaning Wipes. These are similar to Lysol Wipes but they are non-toxic and work great for quick and easy cleanups! 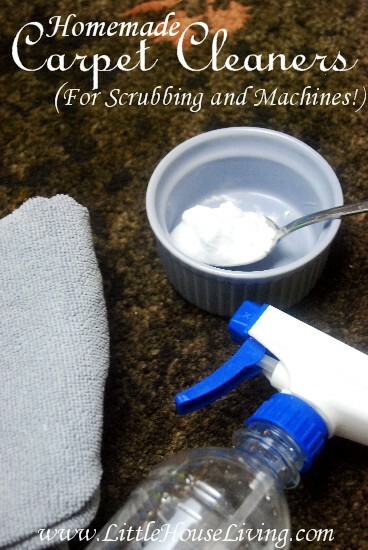 Have you ever made your own homemade carpet cleaner or homemade carpet cleaner for machines? Did it work out for you? What’s your recipe? I hope you do find hardwoods under the carpet at your new house. What a blessing that would be! I hope so too! Our inspector said they are still under the carpet so the condition is going to be the determining factor. I cant wait to find out! can you help me with my problem, my couch is cloth, it has stains from my pet, can you give some idea how to clean my couch without using water on it. You should be able to use the carpet cleaner recipe above on your couch as well. If your soon -to-be farmhouse was built before 1967 chances are very good that your going to find beautiful hardwood floors under the carpet. I wrote this story with the thought that I might expand it for a article to send to a church publication. 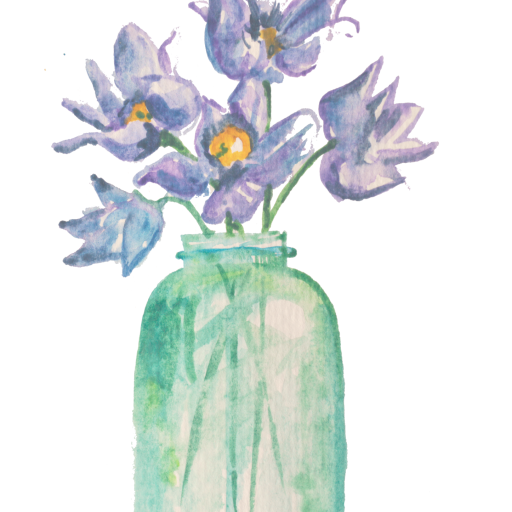 Instead, I revamped it and sent it off to a national women’s magazine. I’ve read abit of your work online and I thought I would use this to send to you about your floors. I think it migh give you hope for your floors. If you would like to write back, I’ll tell you some of how I made staying at home work out in the modern world. We moved into our “almost retirement” home about 9 years ago. Our Son’s were starting their adult lives and we didn’t need the super-sized family home anymore. That home had served it’s purpose and it gave our Son’s a Tom Sawyer perfect childhood. Times and Lives Change and we wanted a smaller, easy-care home. We bought a one story 1950’s era city home with wonderful landscaping. We were a bit hesitant about what we might find under the 1975 era carpet. This new-to-us home did have hand crafted cabnets in the big kitchen and very small bathrooms. We really liked the large sun drenched family room overlooking the backyard. Yet, we were not thrilled with the many small bedrooms. When I look at them, I can visualize my future grandchildern visiting for the summers and holidays. We weighed the pluses of the convenience against the odd pluses and negitives of the home and decided to plunge ahead with the remodeling adventure anyway. The price was a winner and would allow us to travel and visit our son’s no matter where they chose to live. We set in to update the home. We would tackle some jobs and hire professionals for larger jobs. One of our first brave steps would be to discover what might be lurking under the old faded carpet. Had it really been beige when it was bought new or was it really bought as Teddy Bear Brown carpet? We had explored the underside one evening and never did find anything resembling wood. The prior owners had laid carpet over carpet for decades! Quite an amazing rainbow of colors and a rather wild Elvis Presley looking 1960 era printed carpet was so surprising that evening, we retreated in horror! That carpet suprise, kept us in fear for two solid weeks. We found an open weekend and we gathered our courage and tools to rip up the wall to wall wonder carpets. The dust flew everywhere and the stack outside the backdoor was growing fast. Thank goodness our Youngest Son had come home to do laundry and we pressed a claw hammer into his hand. I retreated to the laundry room. It was a good trade. He provided the muscle needed to rip carpet at an amazing speed. I folded his jeans. Dad gave directions and rolled peices of carpet. It didn’t take long to discover we were the proud owners of gorgeous golden honey Oak floors throughout our home. They hadn’t seen the light of day in almost 60 years. We danced for joy around our rooms rejoicing in the shine of the newly exposed wood planks. We praised the skills of those long-ago carpenters who had built our “new-to-us” home. In a real estate sea of cookie cutter instant homes, we had found a home someone had lovingly gathered craftsmen to create. Our home isn’t the large sprawling backwoods late century home we raised our Son’s in. There isn’t a 28 by 32 playroom anymore. We don’t have a pond in the back to swim, fish and ice skate over. Our land doesn’t ajoin a state park and I don’t have a special kitchen to can our vegtables and fruits anymore. That home was ideal for our young family during the years I devoted to raising young men with real values and intelligence to succeed in today’s ever changing world. That home taught our sons to build their own dreams both in the large playroom and outdoors. They had the space to dream and create. Now, they are taking those skills and learning to succeed in this very large world. My Husband and I are ready to reflect on times and skils learned in the past. We have hung memento’s of our lives upon the walls. The walls are plaster, these memories are not going to be moved quickly but, we are not either so, it’s working very well. Our home is smaller in size and it reflects a slower time when skills were valued as much as the raw product. together we are combined to stand the test of time. For our upcoming retirement, I think we’ve made a good match. Thanks for sharing! The house was built in 1890 so I know those floors are under there…it’s just the condition we aren’t sure about yet, but I’m excited to find out! I use this same combination when cleaning my carpets! This year, I started to pour the vinegar into a measuring cup and heat it in the microwave (1 cup, 1 minute). Let it set for a few hours and then use my machine. I think it works well. Thanks for sharing your story! We are thinking the carpet/mess isn’t too thick because we can see the wood floors sticking out in a few places around the stairs, ect. I guess we will find out next week! I’ve had good luck with gentle generic laundry detergent in the machine. My carpets are old and kid-kicked. Missing laundry detergent recently, lead to use of some washing soda (with the water softeners) and a touch of vinegar. It worked very well on average light carpet with the machine, too. Always perform a rinse when machine cleaning carpets to avoid stain build-up. Great post and I’ll be trying these in different areas. I also abhor carpets. I tried this and it left a huge white spot on my carpet. What did I do wrong? Did it just leave my carpet so clean that it’s white now? Does this mean that now I have to either dirty up the clean spot or scrub every inch of my floor with the vinegar and baking soda? Did you test it in a small area first with no reaction?